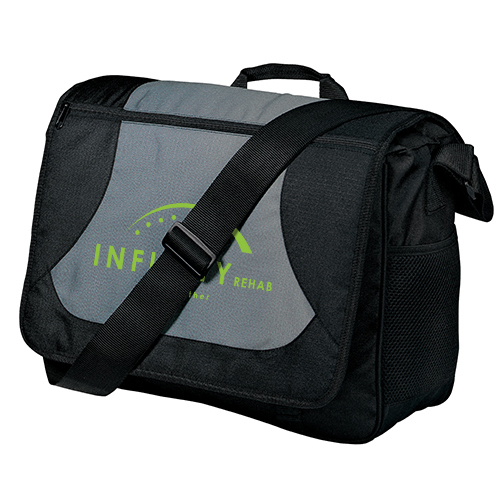 This light and durable messenger bag is business-ready and fill of convenient storage space for keys, pens, notebooks and more. 100% ripstop poly, clips closed and has a zipper for main compartment. 16.25"w x 11.5"h x 5.75"d.